FAQs « Energy Savers, Inc.
Can you really save money or is it a scam? I called everyone on the PUC’s list and no-one has called me back? Do you perform utility bill audits? My utility has been good to me. Will switching to a supplier make them mad? How do I know if I am already under contract with another supplier? Why choose a fixed price over a variable price for electricity? Will signing up affect my budget payment plan with the Utility? Who do I call if my power goes out or I have any other problem with my electric or natural gas service? Will you respond to an RFP? Do you work with Property Management Companies? What if the utility prices change? ESI has been an industry leader for 30 years. We know which suppliers to work with that will provide you with the best long-term savings. Shopping for suppliers takes a lot of time and energy – let us do the work for you for free. 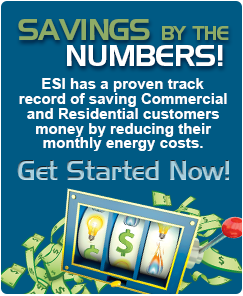 Yes, ESI can help provide you with tangible savings on the supply and transmission portion of your energy bills. ESI works with reputable suppliers and we don’t honor gimmicks. We always provide ‘all-inclusive’ rates and don’t let you be surprised by ‘hidden costs’. When ESI pairs you with a supplier, our fee, if any, is paid to us directly by the suppliers. The only time you will receive an invoice from ESI is if you have negotiated a special consulting agreement. There will never be any surprise charges. That is typical in the SMB sector. Most suppliers’ direct sales are looking for very large customers that produce high margins for them. However, ESI specializes in finding a supplier that fits the need. No. However, as part of our normal, free process, we will closely scrutinize all of your utility bills. If we find something irregular that we feel will yield you a credit from the utility, we will bring it to your attention and guide you on how to resolve the issue. We do not charge for this service. Deregulation is the removal or simplification of government rules. For utilities in Pennsylvania and many other Commonwealths this means that you can buy the ‘supply and transmission’ portion from another supplier on your own. However, by law the utility has to deliver it to you via their distribution system. The utility does not care what supplier you choose because their job does not change. Their function is to deliver energy to rate payers. Most utilities will encourage rate payers to find their own suppliers. Depending on the supplier chosen, you may receive a consolidated bill or a separate bill from the supplier. If you have a preference, let your sales consultant know so the appropriate supplier can be chosen for you. Most utilities will itemize the supply and transmission charges on your utility bill. If you are uncertain, ESI can show you where to look to find this information. Depending on the supplier chosen, normally there is an early termination fee. However, if you move or terminate service with the utility you may not be charged a fee. ESI can help you determine if fees will apply by reviewing your existing contract. If you are enrolled with a supplier it will be indicated on your utility bill. Each utility is different. However, if you are uncertain, ESI can show you where to look. Check your terms and conditions. Many suppliers do not have cancellation fees. For those with no cancellation fees simply enroll with our supplier. If you have a cancellation fee, we will place you in our MarketWatch program and contact you when it’s time for renewal. Always choose fixed price contracts when purchasing electricity. A variable price electricity contract will cost you money. During months when you use the most electricity, the cost per kilowatt hour is highest. We have seen some customers with variable price contracts paying up to twice the promised rate and over 30% more than the utility’s rate. Not if the supplier participates in utility consolidated billing. You can continue to pay on a budget as you normally do. If the supplier does not participates in utility consolidated billing your budget payment will apply only to the utility charges. Continue to call the Utility for any service related issues. Yes, ESI will respond to your Request for Proposal. Send those requests to: Natalie Abel at AbelN@energysaversinc.com or call 412-364-6468 x15. Yes, ESI has extensive expertise in working with companies that own or manage several properties over the last 30 years. Our portfolio of clients contains more than 15+ management companies and we handle all energy matters including on boarding new properties with energy agreements, helping with budgets and consolidating consumption to provide the biggest savings. Under Deregulation’s new guidelines, utilities are permitted to adjust their rates periodically. Some adjust quarterly, some yearly, and some semi-annually. This ultimately ends up with the utility passing their costs on to rate payers. With a fixed-rate product you are protected from those rate variations.